Has anyone seen a Canadian MK II like this one? 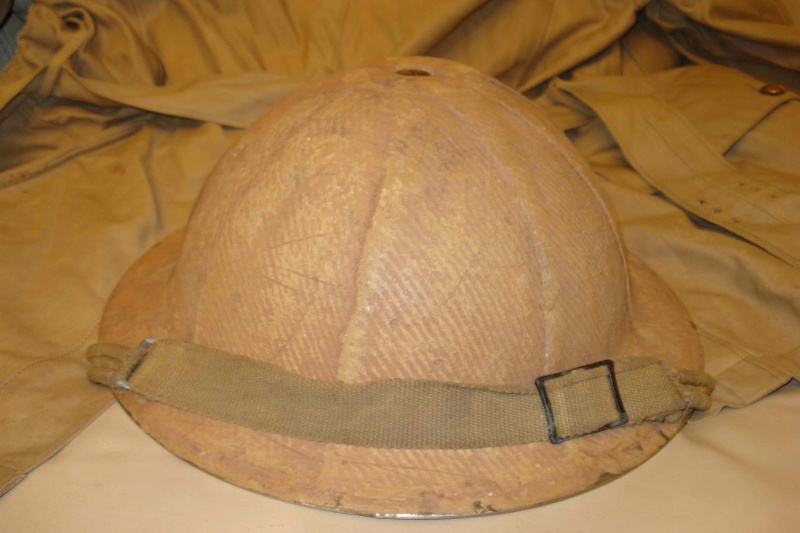 Very Scare WW2 Canadian Combat helmet with burlap or ration bags applied to the shell of the helmet and then camo painted Tan for southern Italy.Helmet is maker marked CLC 1942 and liner dated 1943 , helmet is complete with chinstrap.There is what looks like a Ace of Spades painted on one side but faded with time.THis helmet was in a long time collection that just came up for sale. I saw that auction and almost bid, but I have never seen this done beofre so I stayed away. 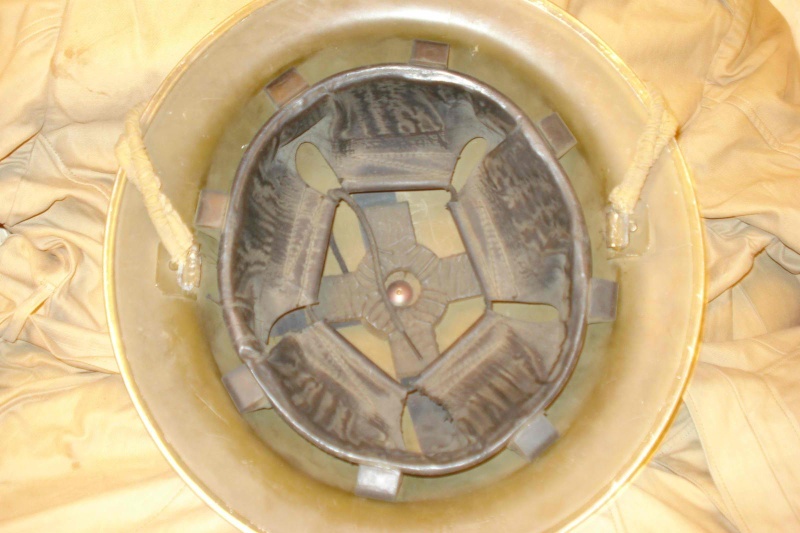 Why go to all the trouble of this when painting it sand brown is the normal way for a Italian cmpaign helmet. 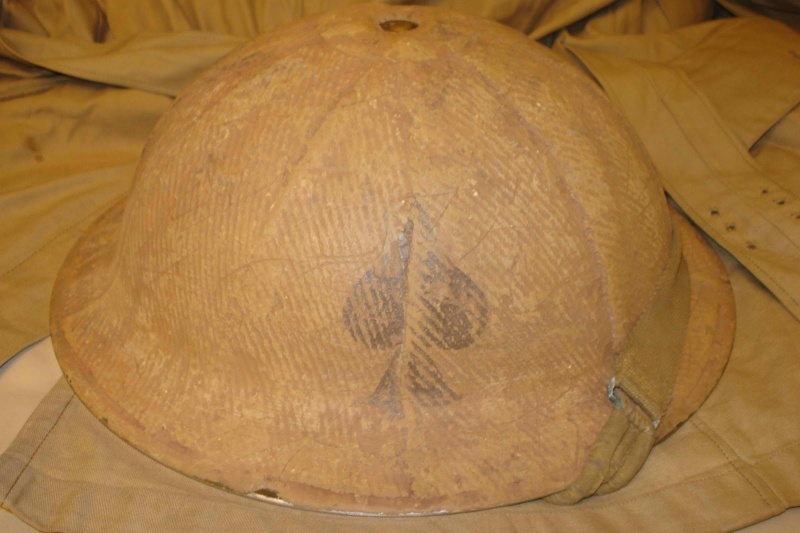 Also the ace of spades is not a associated to any Canadian regiment that I know of, it is for the 506th Parachute Infantry Regiment, 101st Airborne Division during WW2.